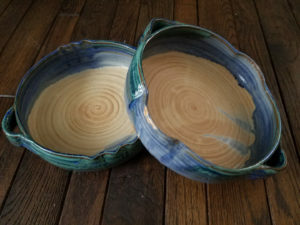 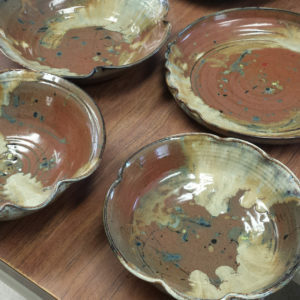 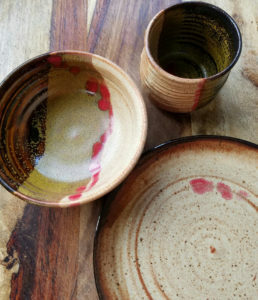 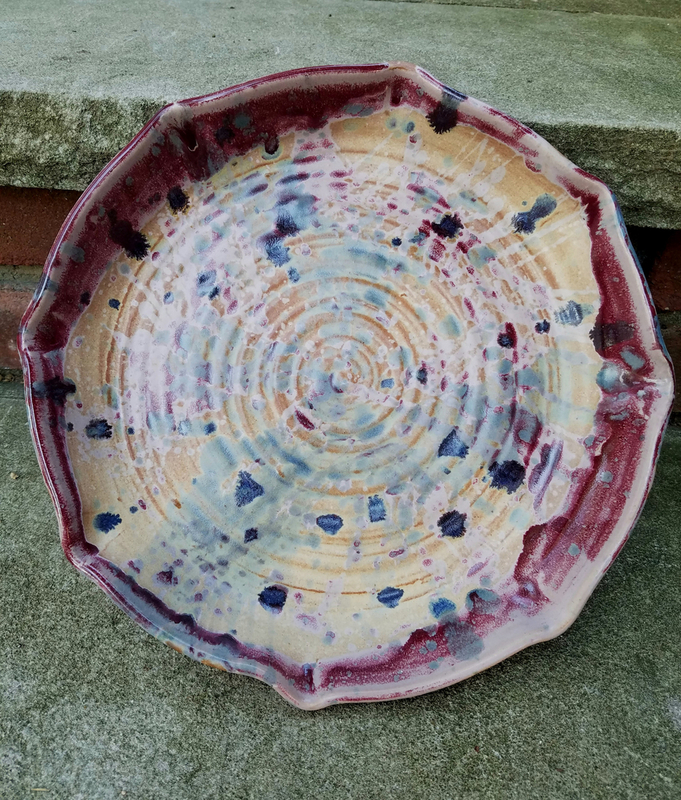 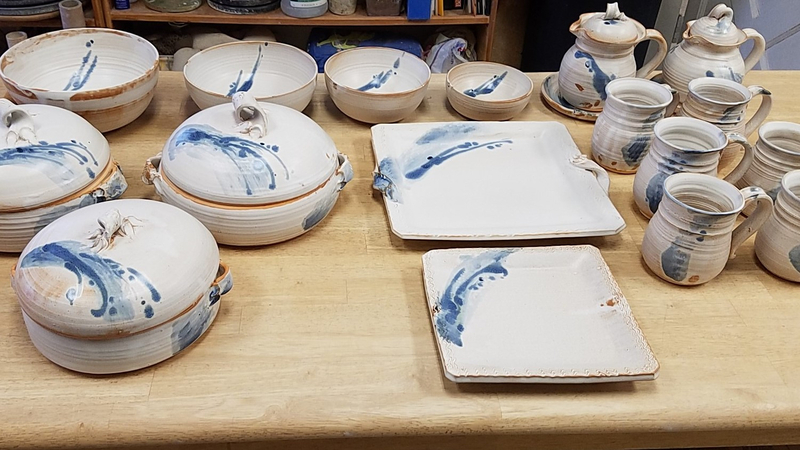 Valerie Tomiello is a studio potter at the Icehouse Pottery in Riverdale, NJ and has her own business as VT Clayworks, selling at local venues. My work is mostly functional, with a strong sense of color and abstract design in glazing, a slight manipulation of form – a bit of a surprise here and there, a twist and a flair, maybe a letter or a word or two… whatever the mood hits, the colors speak, or?? 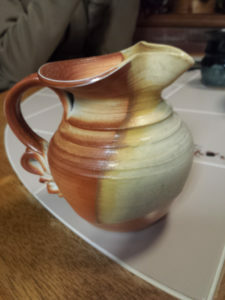 … never the two exactly alike within the same family. Stoneware, porcelain, bakeware – all sorts of firing techniques… a variety of work, with constant curiosity to expand this medium. Contacting me is best through email at this time as my VTClayworks.com website and Etsy site are under re-construction.